All India Anna Dravida Munnetra Kazhagam (AIADMK) chief, J Jayalalithaa, is set to be sworn in as the Chief Minister of Tamil Nadu on 23 May. This will be her second consecutive stint as the Chief Minister of the state. The swearing in ceremony will be held at the Centenary Auditorium at the Madras University at 12 noon. On 21 May, Jayalalithaa met state Governor K Rosaiah and staked her claim to form the government. The Governor will administer the oath of office to the Chief Minister and 28 members of the cabinet. AIADMK MLA and former MP Semmalai will be appointed the pro-term speaker for the 15th Assembly. Union Urban Development Minister Venkaiah Naidu will attend the ceremony on behalf of Prime Minister Narendra Modi and the Central Government. Invitations have been sent to various dignitaries throughout the country. For the first time, the main opposition, DMK Party's treasurer MK Stalin will also attend the ceremony. The century-old auditorium of the Madras University is all decked up for the swearing in ceremony of the Chief Minister and her cabinet colleagues. Workers of the party have been streaming in to the city in large numbers to get a glimpse of their favorite leader. 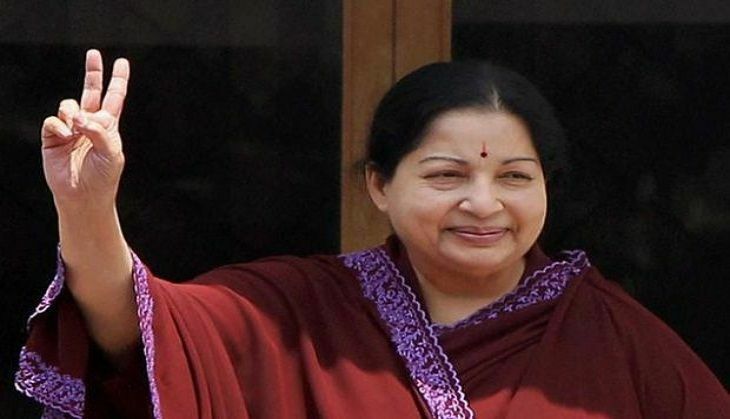 Security has been tightened in and around the university and large LED TV screens and loud speakers have been placed at Kamarajar salai for the public to witness the function. The ceremony will also be relayed live in all the districts through the mobile vans with digi screens by the Information and Public relation department.